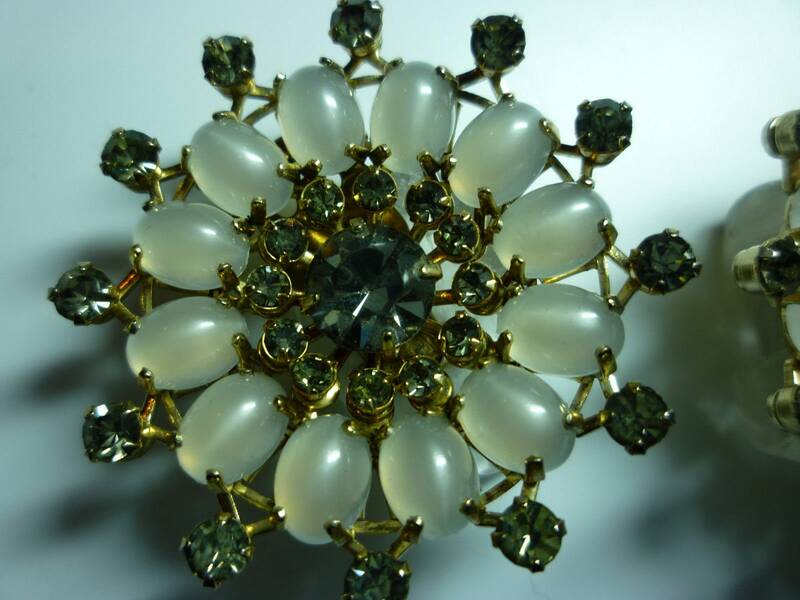 Mint condition vintage Hattie Carnegie moonstone and rhinestone clip-on earrings. 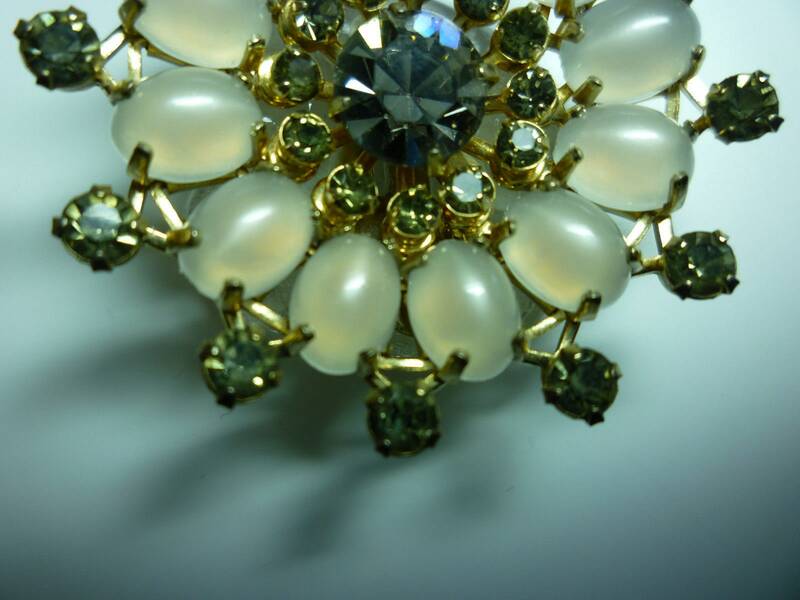 The rhinestones and moonstones are gorgeous! 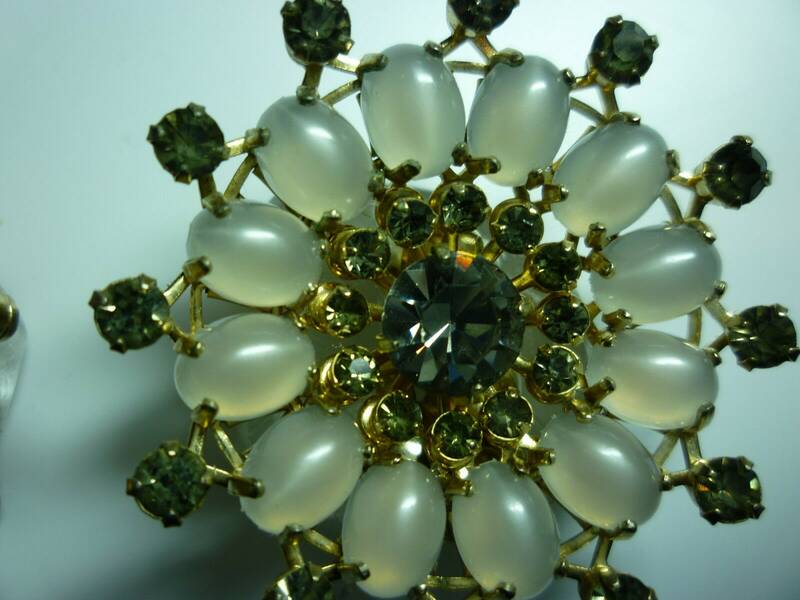 All stones are prong set into a silver tone metal. 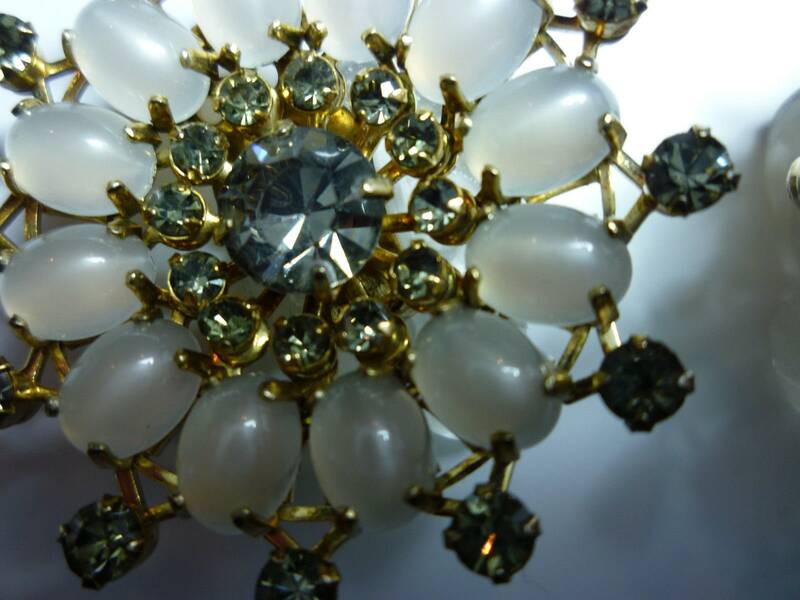 12 white moonstones in a circle surrounded by light gray rhinestones with one large rhinestone in the center. 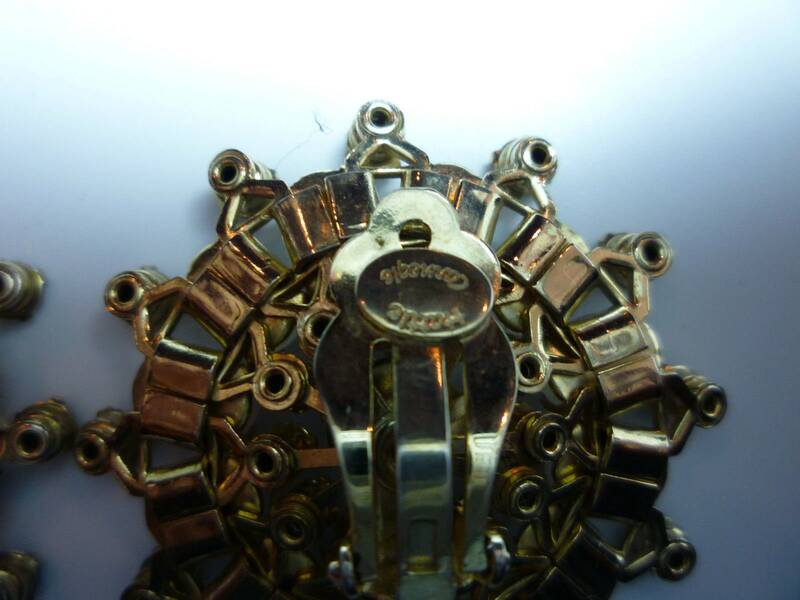 One of the earrings is signed HATTIE CARNEGIE on the backside in an oval cartouche. 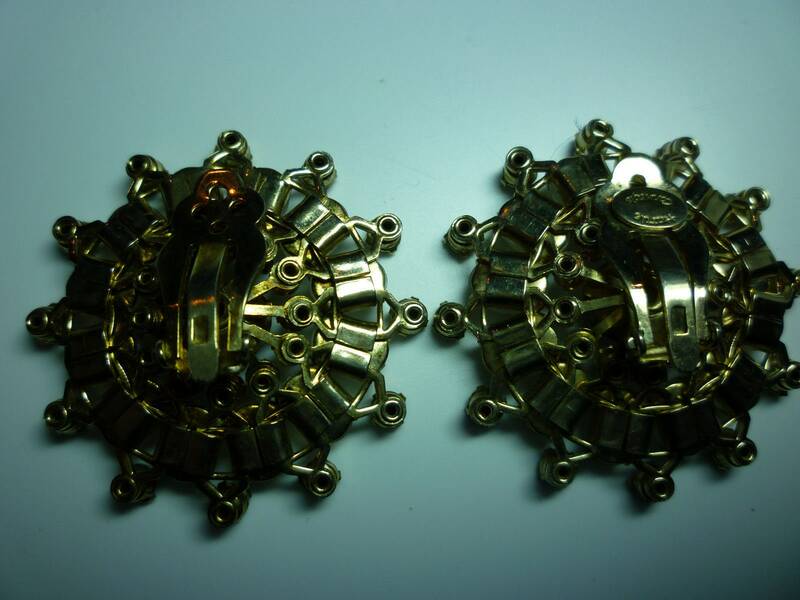 The ear lobe clips are sturdy and hold well but do not pinch. 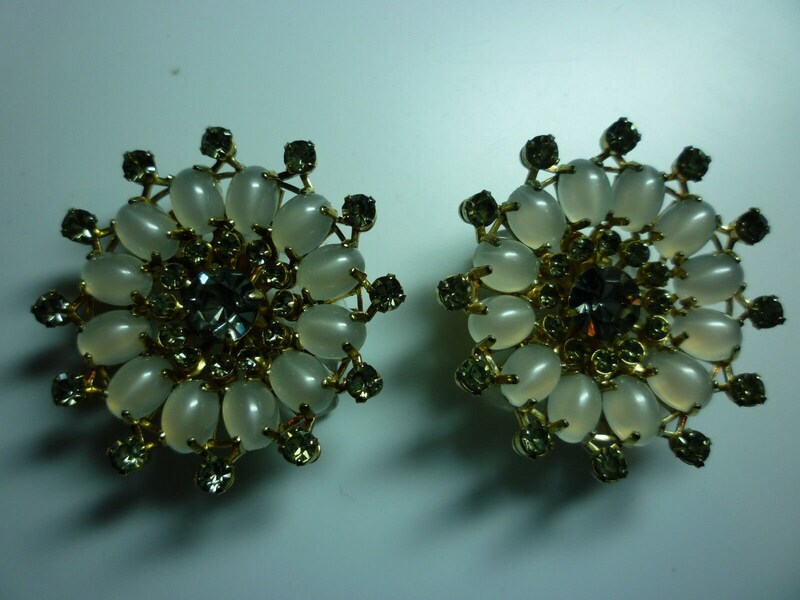 They are really beautiful earrings. Dimension: 1.15 inches in diameter.